When the cold winters of the Twin Cities arrive, don’t entrust your family’s health and comfort to just any Minneapolis heating contractor. Choose the best experts in the area to help your family through the winter: Marsh Heating and Air Conditioning in Brooklyn Park. We first opened our doors in 1974, and we’ve accumulated the experience and knowledge to help our customers through the tough Minnesota winters. Our technicians are the best in the business; we only hire skilled and experienced HVAC technicians who understand that customer satisfaction is the highest priority. We stock high-quality Lennox-brand furnaces, heat pumps and boilers, and we invest in quality training so that our customers will receive exceptional service. We understand the strengths of each of our units, and we’ll recommend the best unit for each customer’s unique situation. Whether you need a high-capacity furnace to heat a large building or just a small heater for your garage, our professional technicians will treat you with courtesy and ensure that your experience is pleasant and quick. As a Brooklyn Park heating contractor, we’re conveniently located to provide prompt service to all of our Twin Cities customers. We treat you the way that we would want to be treated; we’re a family-owned business and understand the importance of treating our Minneapolis heating customers with respect. At Marsh, we offer a wide variety of heating products and can recommend the right unit for your home or business. We’ve earned the prestigious Dave Lennox Premier Dealer title, giving us access to the premium Lennox Signature line of products. 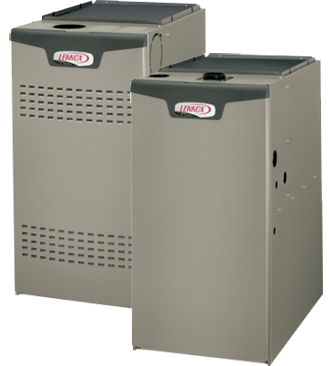 You can choose one of our high-efficiency furnaces, such as the Lennox SLP98V. This furnace can adjust both its heating capacity and fan speed in fine increments, allowing you to heat your home to the exact temperature that you want with little wasted energy. At Marsh, our expert technicians will walk you through your options and help guide you to the best heating system for your specific situation. Our professional installation will help you reduce your energy use, while increasing your family’s comfort during the winter. Call Marsh Heating & Air Conditioning for all your Minneapolis heating needs.